Whether you call it Our Process, Our Services, or Our Capabilities, it’s simply about partnering with clients and agencies to produce and deliver amazing videos and photos. You know your brand best – and we have the experience to optimize it and bring it to life. Let’s talk. Whether you know exactly the messaging you want, or need assistance figuring out what you need, Copper Hound Pictures has the experience and expertise to help you through this important stage. The 1st step may seem daunting, but we’ll partner with you to make it as seamless as possible. This is where your plan takes shape. This Pre-Production stage is all about developing the plan – and we have the ability to dive in at any point. From conceptualization, to storyboards, pre-interviews, scripts, talent, location, etc., we have the experience to create amazing storylines, and make the whole process as seamless as possible for you. This is where we capture your brand’s magic. Our talented crew steps into the production days with a detailed plan and a knowledge that we’ll probe and capture unexpected nuggets of compelling content. We hustle for the shots, are easy to work with, and have the experience to get the most out of your project. With backgrounds in big agencies, brand marketing, design firms, and corporate communications, our team has the experience and expertise to untangle the entire process. 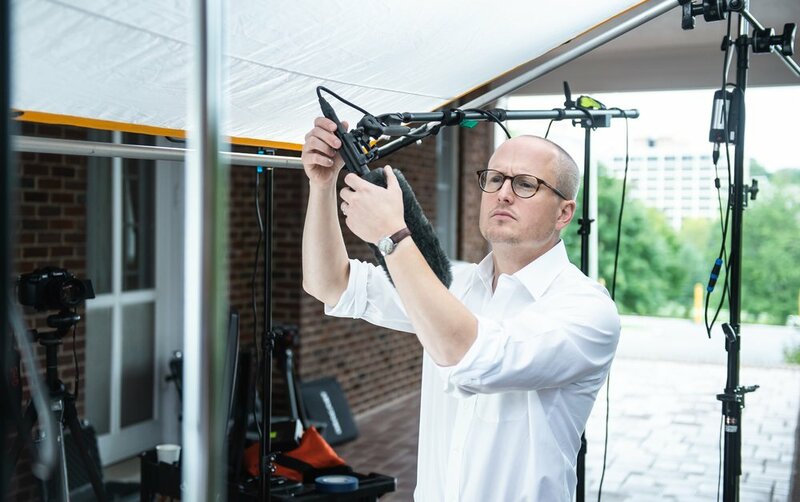 As the lead videographer and photographer, Tim Llewellyn has shot on location all over the world for major corporations, award-winning design firms and non-profits. He’s appeared multiple times in the Communication Arts Photography Annual, won the People’s Choice Award for Professional Advertising at the Prix de la Photograhie in Paris, and was honored with a Davey Award for copy writing for his work with The Fenn School. Having cut his teeth in the graphic design world, Jamie has transitioned his visual aesthetics into shooting and editing the best stories for our clients. His designs have been recognized by numerous platinums from The AVA Awards and by The Communicator Awards. With over 20 years of brand management experience, Bob has worked on a variety of well-known consumer brands throughout the years, including Aleve, Alka-Seltzer Plus, inc.com, Spalding and GT Bicycles. Dave’s been writing, shooting and editing creative content for nearly 10 years. He shares time between his native Western Mass and Boston. With more than a decade of artist management, previous experience as a photo editor for National Geographic and a degree in photography, Jenna has a deep knowledge of what a successful client relationship looks like. Missy comes from the Manhattan ad world where she worked as a Senior Art Director at BBDO New York. Her clients included Visa, Frito Lay, HBO, Pizza Hut, Tampax and Hyatt. Her work has earned her awards at Cannes, the Art Directors Club of New York and Hatch.